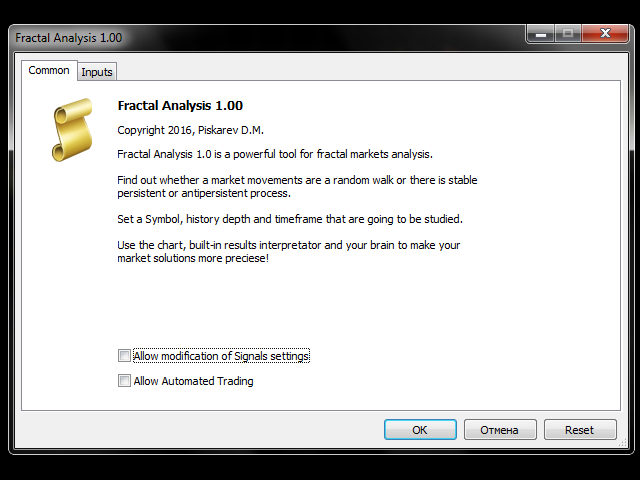 The Fractal Analysis is a powerful tool for fractal analysis of financial markets. 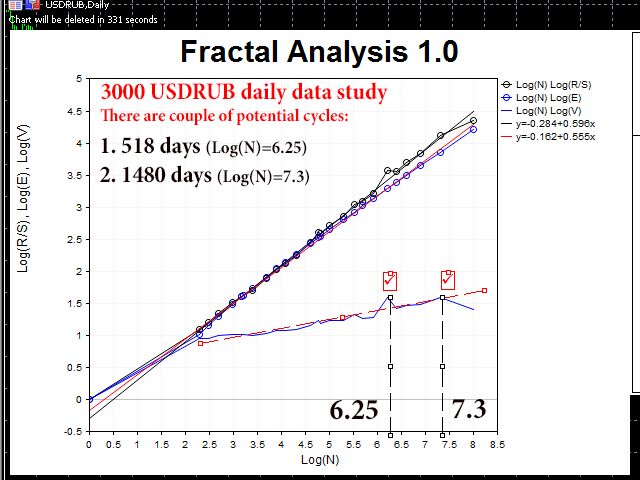 The utility conducts a time-efficient deep analysis of fractal structure of the market for various investment horizons, and also determines whether there is long or short memory and non-periodic cyclic dependencies. 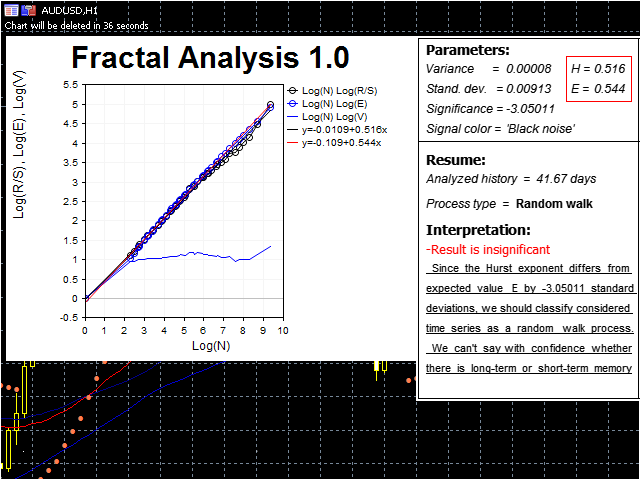 It is also possible to confirm the results by means of the Fractal Analyser, by verifying the results using a larger or smaller amount of data, while keeping the history depth. 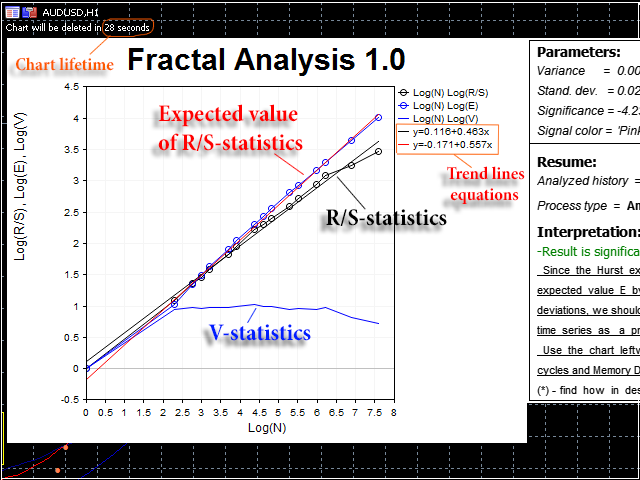 Dependence of logarithm of V-statistic Log(V) from Log(N). First of all, please note that the utility outputs 3 significant graphs. Below is the method for working with the results. 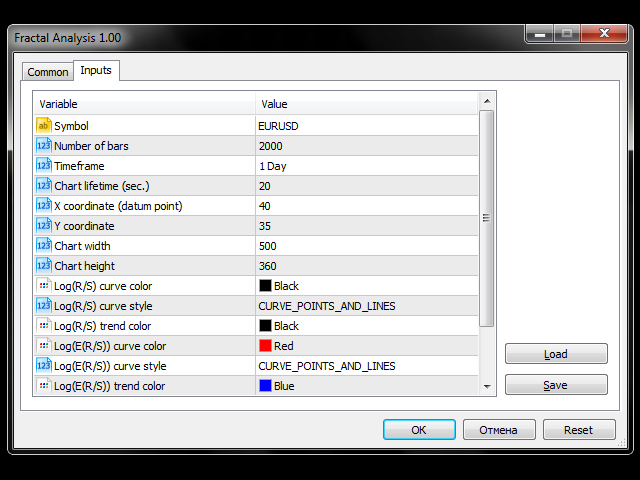 While the tool makes most conclusions on its own, it will be useful to know the operation logic. Signal color – "noise color". Parameter points the type of the signal spectrum. Process type – characteristic of the process. First, estimate the dynamics of the curve Log(R/S). Is it higher than expected curve? Are there significant deviations? Analyze the V-statistic. 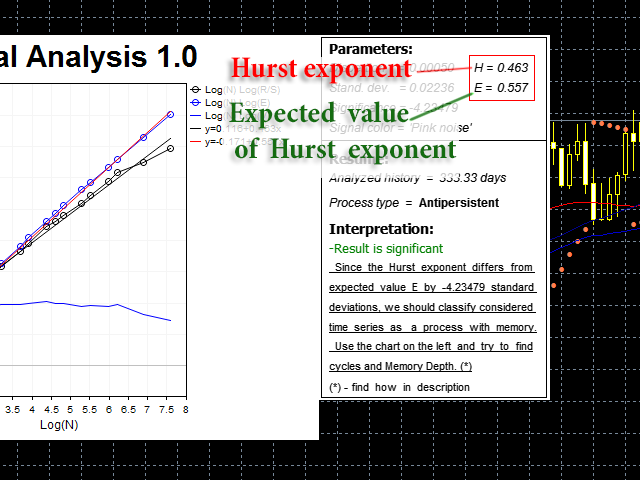 Try to find the maximum of the graph (see the screenshots), which slightly decreases and eventually goes up. If the Fractal Analysis finds out that studied process is significant, then this figure will indicate a probable non-periodic cycle. 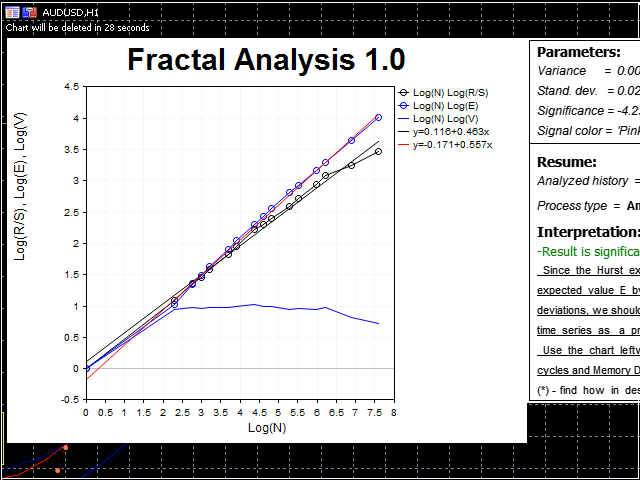 Draw a vertical line down from the found maximum and find a corresponding approximated value Log(N). Length of the non-periodic cycle will be equal to N=exp^(found value). Cycle length is the memory depth. What is the memory depth? This idea is a key concept of fractal theory. Memory depth is a period when past data influences the present and future data. This information is crucial for technical analysts, who doubt the significance of a past technical figure.